"I have just had a Blackburn Range fitted by Gill & Co. And it is the best thing I have ever done. The service and fitting was second to none and they built it to every specification I wanted. "I changed from a 2 pan Preston & Thomas to a 3 pan Blackburn and the quality and efficiency of the Blackburn out-performs the Preston & Thomas on every level. "We have found J.J. Blackburn to be of good friendly service in all of the 27 years we have been in the business." 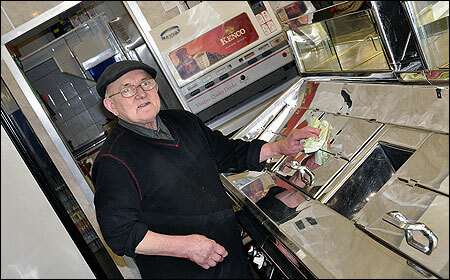 Mr C Gagliardi, C&R Malpas Fish Bar, 22 Malpas Road, Newport, Gwent. "I have been very pleased with the performance of my 'Blackburn' fish frying range over the last 15 years. It is fast. reliable and easy to use. The people at J.J. Blackburn and Co have always given good service. I have no hesitation is going to 'Blackburns' when purchasing the new range for my other shop." Mr T Papapostolou, Mediterranean Fish Bar, 270 Abingdon Road, Oxford. "I have been a customer of J.J. Blackburn and Co for 10 years. The range is excellent. Although I have had very few problems, whenever I have telephoned for advise there is always a cheerful person with expert knowledge available to help. If an engineer has been needed I have has immediate service. Personally, I would never contemplate going to another company." Brian Parker of "The Captain's Table", Port Eynon, Gower. "Second time around is even better! "When I purchased my first Blackburn fish frying range over 20 years ago I thought then that it was the best range on the market, but this new generation of Blackburn ranges is even better. Because I can compare like with like I have found that my gas consumption has been reduced by over 30% which is fantastic as "old faithful" was noticeably fuel efficient. "This new Blackburn range has all of the standard safety features and because it is so simple to work I have found that any one of my staff can happily use the range." "I have been in business for 19 years and Blackburn's is the best range ever. Since using the Blackburn range both my gas and electric bills are much lower. It is very easy to use and clean and there is fantastic after sales service. Blackburn's are always at hand." 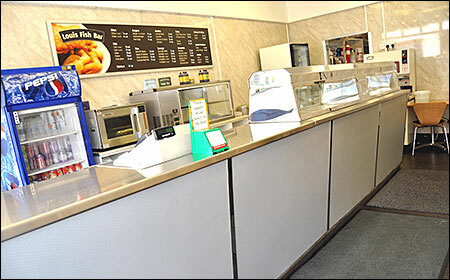 Mrs Linda Webb, Llangranog Fish & Chip Shop, Carmarthen. 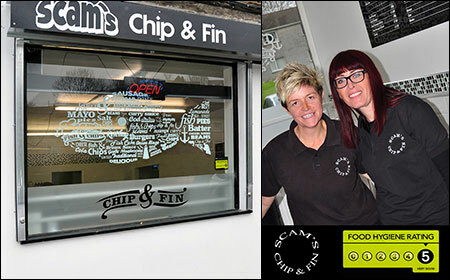 "My family have had fish and chip shops for 60 years and are experienced fish friers. 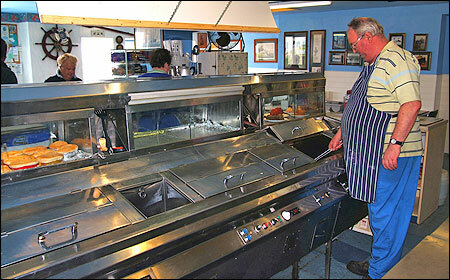 We would highly recommend a 'BLACKBURN' frying range as they are very fast, efficient and economical. The after sales service is also excellent. Well done Blackburns!" "I worked closely with 'BLACKBURNS' during the initial planning and design of the shop. Following their recommendations with regard to the best type of range for my needs, I am pleased to say that 'BLACKBURNS' were true to their word as the range has met the performance levels required and is of outstanding appearance, all as promised and I am exceptionally pleased with the outcome.!"